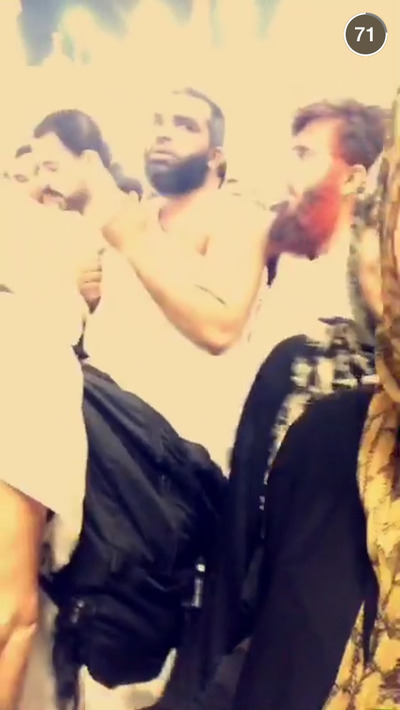 In response to a campaign on Twitter, centered around the hashtag #Mecca_Live, Snapchat created a live story that opened up the Muslim holy city to the world, presenting a endearingly human look at one of the world’s largest religious festivals. This year, 14 million Muslims and counting have traveled to Mecca during Ramadan, according to The Guardian. 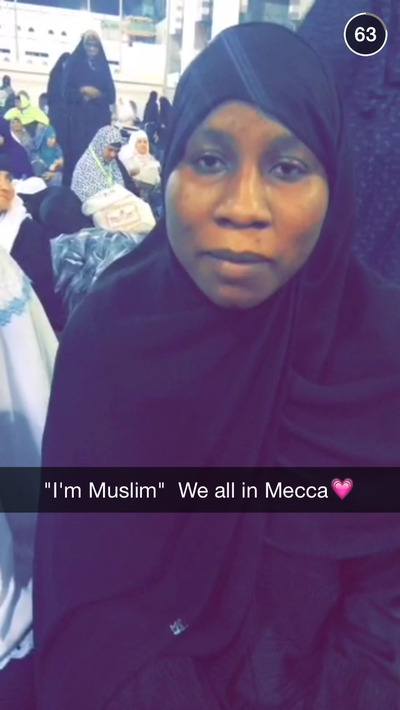 Many of them are fulfilling the Hajj, a pilgrimage that is one of the five pillars of Islam. Snapchat curated the videos created by its users and presented them a single stream for other Snapchat users to view. Live event coverage is a fairly new offering of Snapchat's, and used to be buried deep in the app until a recent update more prominently featured live events. It’s part of a push for Snapchat to become a live TV replacement, and so far has included stories from events like Hillary Clinton’s campaign announcement and the removal of the Confederate Flag in South Carolina. Advertisers can pay to have short videos included in these live events, giving Snapchat a slick method of earning extra revenue. 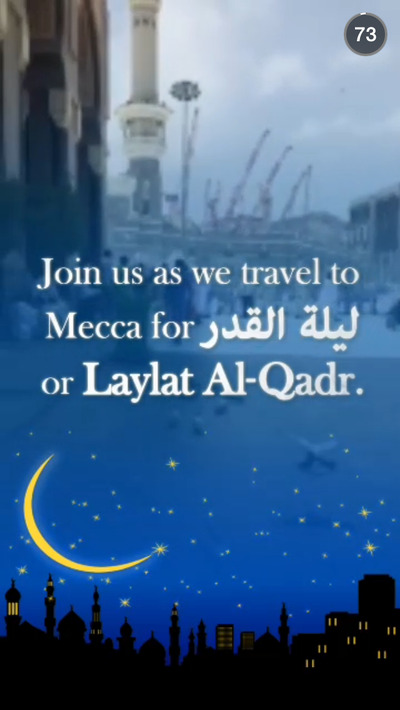 But there were no such video ads evident in the Laylat al-Qadr stream, which simply showed an up-close view of what a night was like in a city buzzing with vibrant activity. 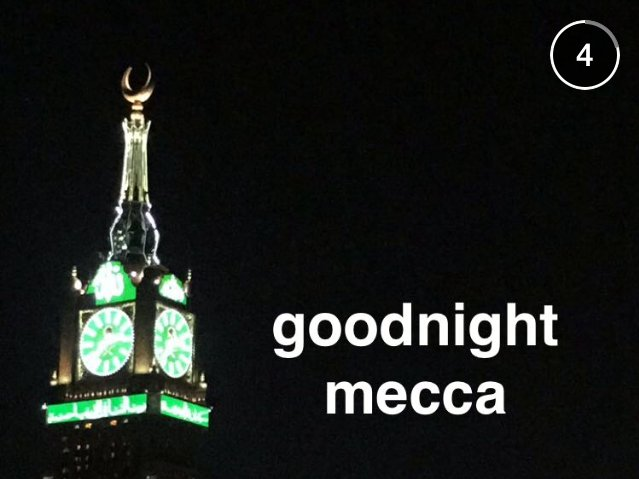 “Goodnight from the city that never sleeps, Mecca,” one Snapchatter said. Here are pictures from the night, presented without captions. They speak for themselves.